During the Autumn term, Year 12 and 13 politics students and POLSOC (Politics Society) were involved in a variety of politics-based activities. 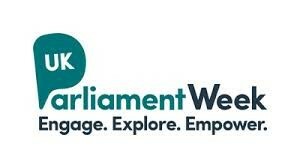 At the start of November, Withington took part again in National Schools Parliament Week, whose motto is: ‘Engage. Explore. Empower.’ The 100th anniversary of some women being given the vote provided this year’s theme and Year 13 students led a very informative and detailed assembly looking at the how women have progressed since 1918 in terms of economics and politics as well as socially. It highlighted how far women have come and yet how far we have yet to travel. 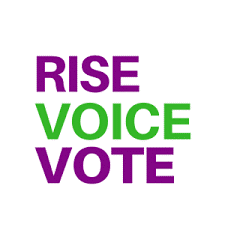 We were also invited by the Pankhurst Centre, Manchester, to take part in a region-wide event, named ‘RiseVoiceVote’. 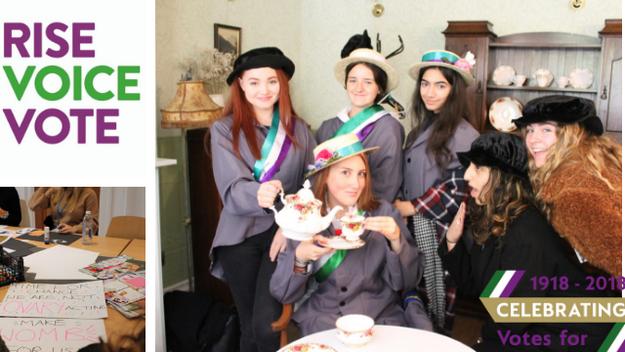 The Rise, Voice, Vote youth engagement project connected Manchester’s woman-led activism of past and present with local young people. The project sought to inspire and support young people’s political participation and community activism through shared stories, learning, participation and celebration. The project included a diverse group of young people (aged between 10-19) from schools, colleges, community groups and alternative education settings across Manchester. We had a workshop in school led by Councillor Eve Holt – who represents the Chorlton Ward on Manchester City Council – about engagement in politics. 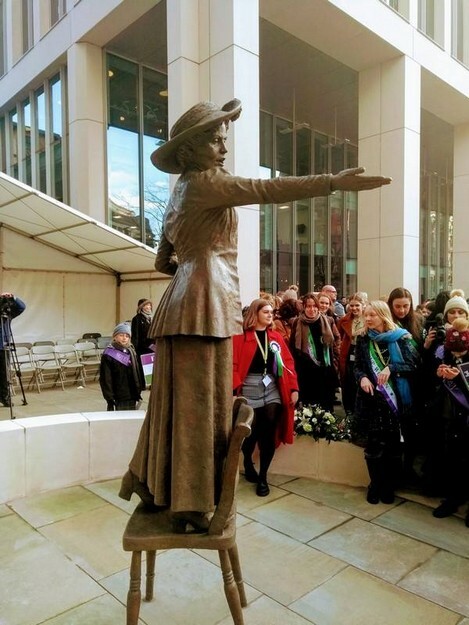 We also visited the Pankhurst Centre in Manchester, where it was so inspiring to sit in the Drawing Room where the suffragette movement began and it prompted a great deal of discussion about the role on women in the twenty-first century. 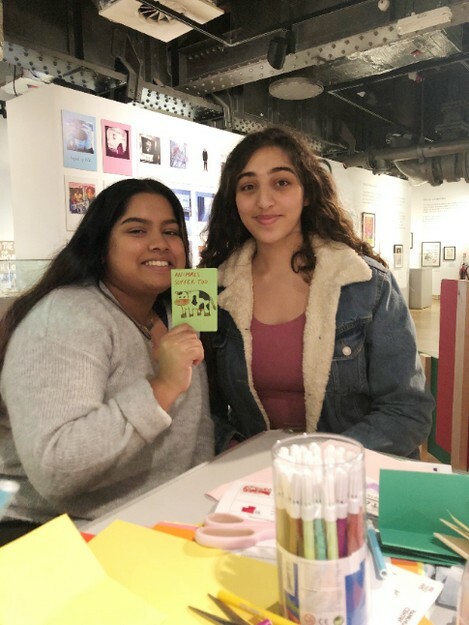 On 26th November, approximately 130 young people came together at People’s History Museum to develop their own campaigns, utilising a mix of campaigning tools from the more traditional tools used over the last 100 years to modern day use of social media, videos, online petitions and vox pops. This included the opportunity to speak to a local MP via video conference. Our students undertook Twitter and Instagram #takeovers of the @PankhurstCentre accounts. 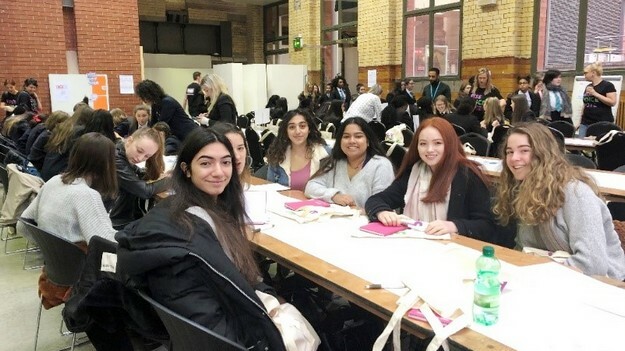 There was a long list of creatives, female activists, campaigning groups and volunteers signed up to support the ‘hack day’ including Reign, Young Identity, Victoria Turnbull, the Fawcett Society and MMU Students’ Union. Here follows some comments from our students about the day. We are also on the Rise Voice Vote website speaking about participation and engagement in politics -please visit us! 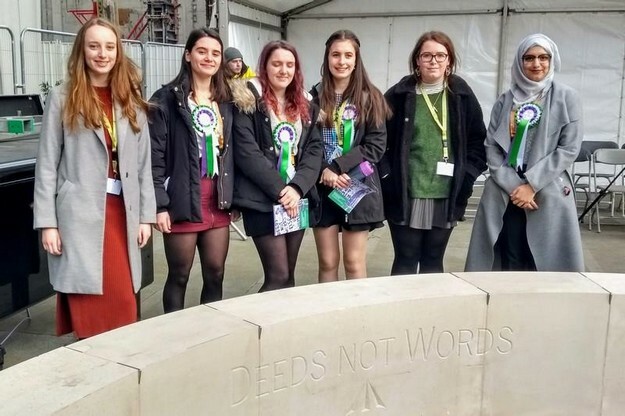 WGS FemSoc leaders were privileged to attend the unveiling ceremony of the glorious new statue of Emmeline Pankhurst in central Manchester in December. What a truly moving and inspiring event to celebrate one of the most important figures in Manchester’s history!